Hello my sweets! How are you this fine Wed morning/afternoon/evening or whatever time it is in your part of the world?? I am doing fantastic! Today is another first for me - imagine that! I think it's fun that you guys get to be here when I experience each of these firsts...I swear I didn't mean that to sound weird! Bonus macros for you because I love you! 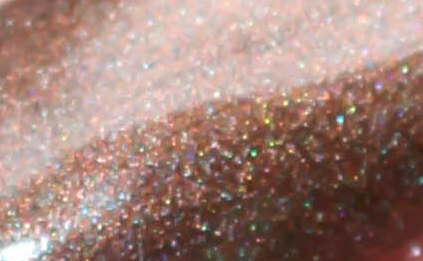 Do you SEE all that lovely shimmer? This polish looks like velvet, I love it!! I would have to say that the only negative I have is that this polish dries slower than what I'm used to. Now that's not necessarily taking away from the polish - I'm just insanely impatient! I put on the second coat before the first was completely dry and then proceeded to put on a thick top coat before those were dry as well because that's how I roll! 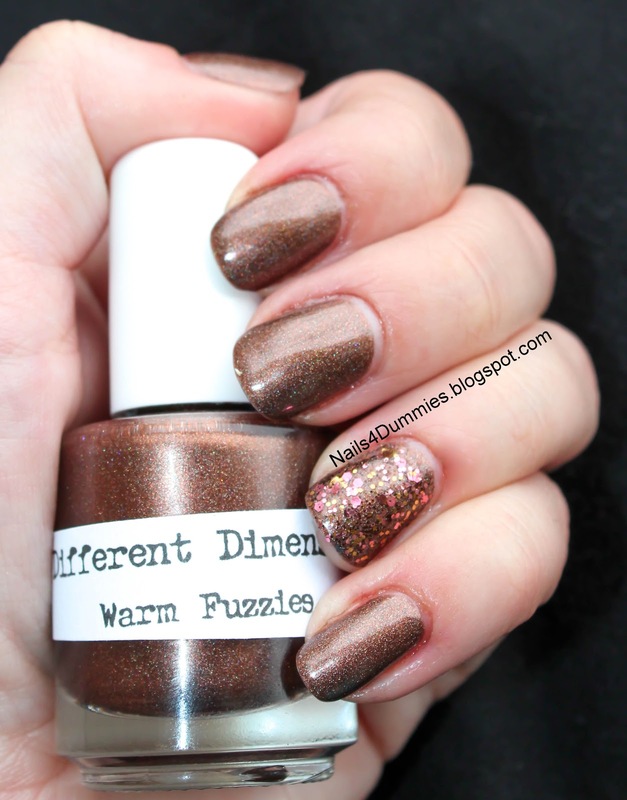 All in all, I certainly will be ordering from Different Dimensions again, the polish is fantastical! Oooooh that polish is so gorgeous! I know, it's warm and fuzzy! It is even prettier in person!! !